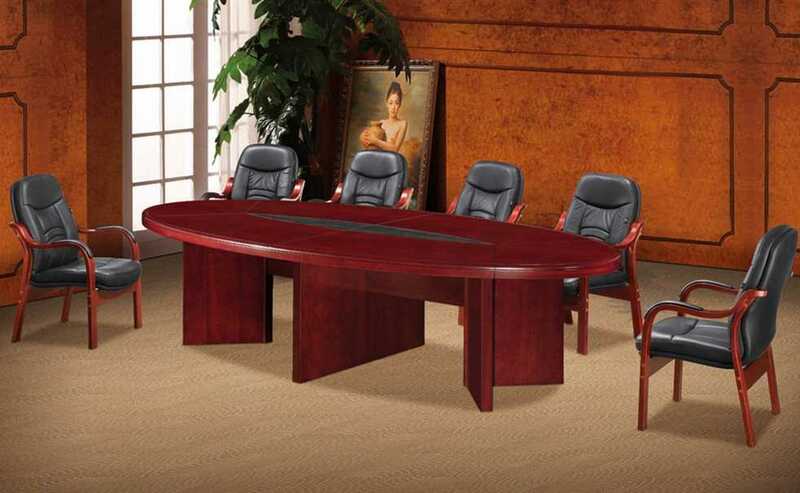 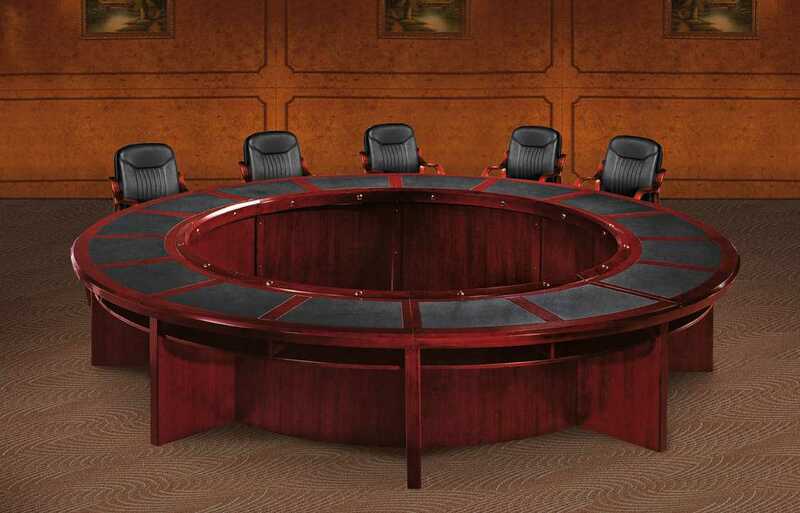 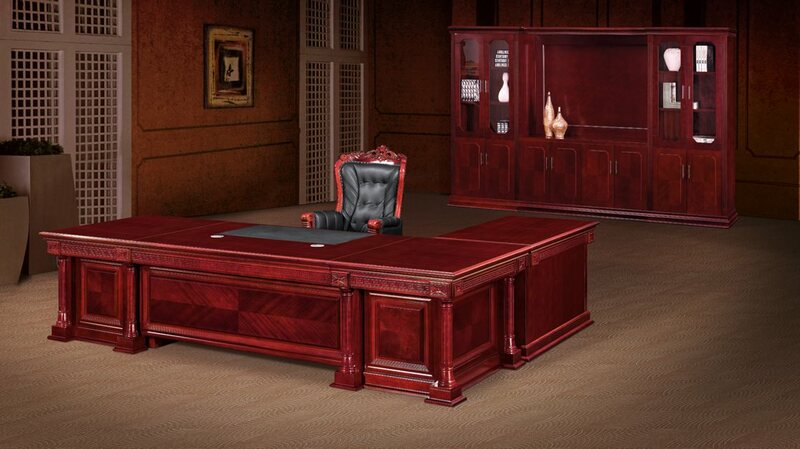 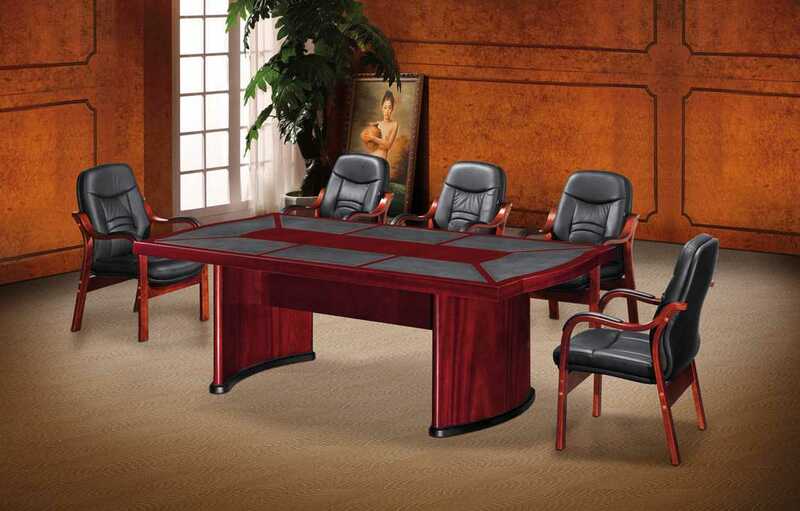 This round boardroom table is made of mahogany veneer finish and it has a 70mm thick top. 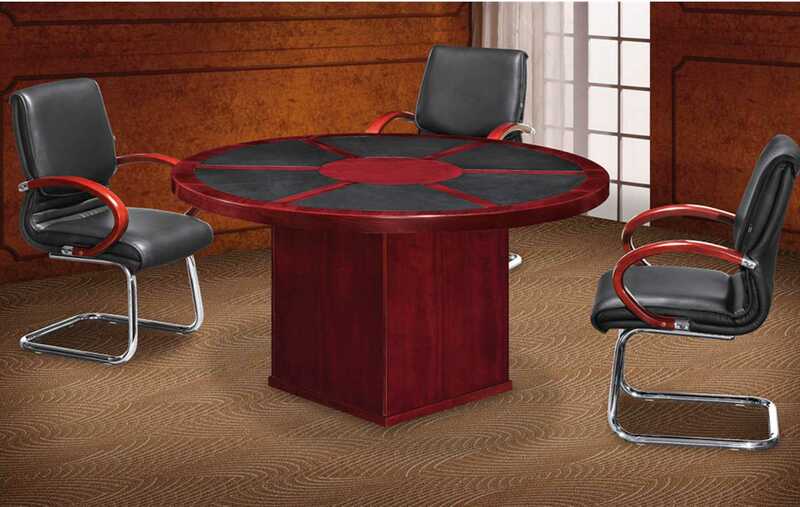 The double layer top gives you extra space for your books and stationery. 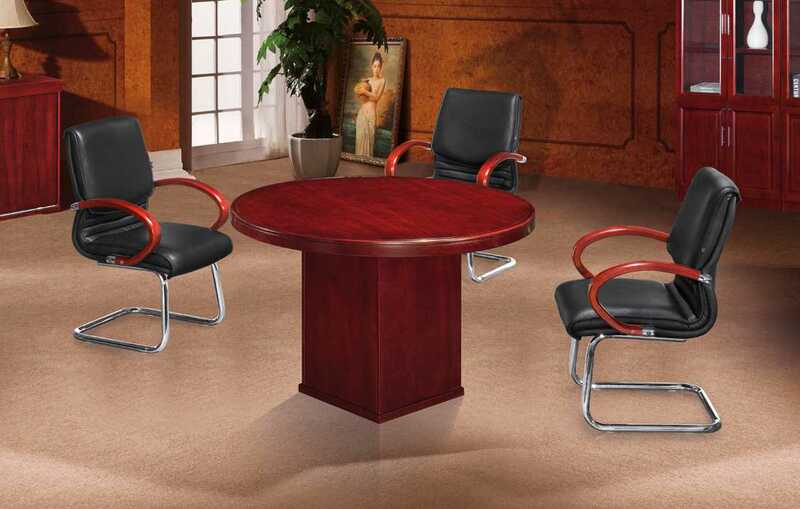 It has scratch resistant leather inlays, an open center as well as aluminium cable wholes and seats 12.